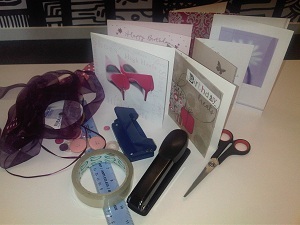 Make a gift bag using those old greeting cards. Perfect recycling project! 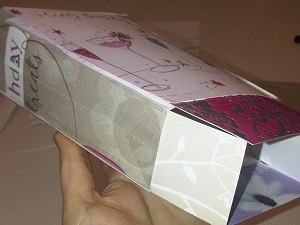 Print the template out on A3 paper or larger depending on the size you want your bag/box to be. If you want to make a box you will need all the tabs but tabs H and G aren’t necessary for a gift bag. 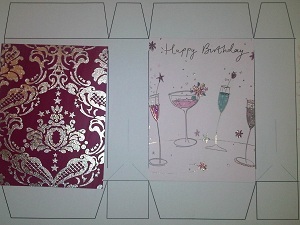 Decide on the theme of you bag/box and discard any cards or sections of a card that can’t be used. Cut around the template and lay on a flat surface. Make a note of the measurements for each section and then use those measurements to cut out accurate shapes from the cards. 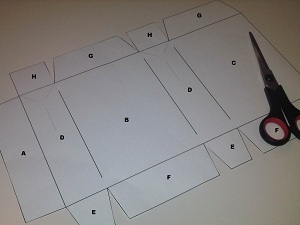 Make the side pieces (D) an extra 1cm wider so you can fold them later on. Choose your designs carefully, particularly for sections B, C and both D’s because these will be visible once the bag/box is finished. Take both side pieces (D) and fold them in half vertically. This will form the crease in the side of the gift bag. Draw two lines at each end, forming a triangle. Use scissors to score these lines. 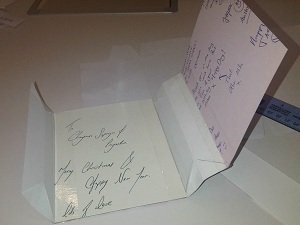 Lay all the card pieces facedown and carefully begin to attach them together using Cellotape. Try not to overlap the pieces. Instead allow several layers of Cellotape to join the sides together. 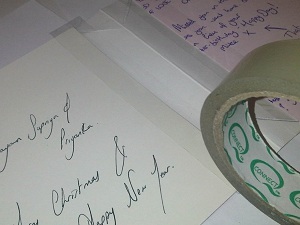 The flexibility of the Cellotape will allow all the pieces to fold easily. Once all sections are joined the bag/box will begin to take shape. 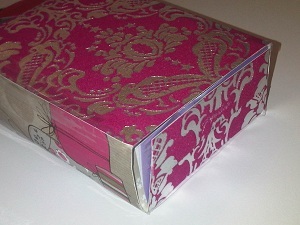 Put Cellotable or glue on tab A and fold it over, attaching the sides together, forming an open ended box. If you are making a box avoid gluing this end tab because it forms the opening of the box; instead just close both ends instead using tabs E, F, G and H.
Close the bottom (and the top if you are making a box) using Cellotape or glue. You now have your gift bag. Fold the sides to make the bag a better shape. 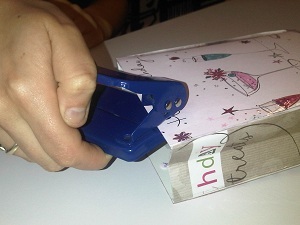 Use the holepunch to make holes for the handles, which you can make from ribbon. I plaited ribbon but this isn’t necessary. Feed the ribbon through the holes or attach with a stapler. Note: If you don’t have any ribbon you can use another greeting card to make beads. Draw vertical lines on an opened card – gradually getting wider. Cut along the lines and then roll from the wider end. Use glue or Cellotape to attach the thin end to the coil. This effect creates a bead like shape and you can feed these onto string. You can tidy up the bag and hide any Cellotape that might be visible by adding extra detail like ribbon or buttons. Tag – This part is the easy bit. Find a card with something pretty on, cut out the section you want, hole punch just one hole and make a loop using ribbon or string. 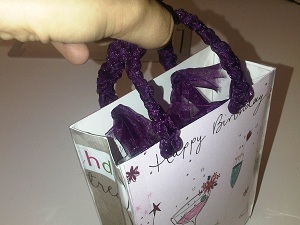 Attach the tag to the bag and then all you need is a present to fill it and a greeting card. You can even buy these without leaving the house – just visit a site like Hallmark and get a personalised card to go with your personalised bag!